I had to tip toe into the circuit this morning. There were people sleeping in their cars having arrived during the night. Terry Grant put on a good show this morning and the Group B demo was hugely popular, especially amongst the younger fans who have only ever seen (and heard) them on video or TV. 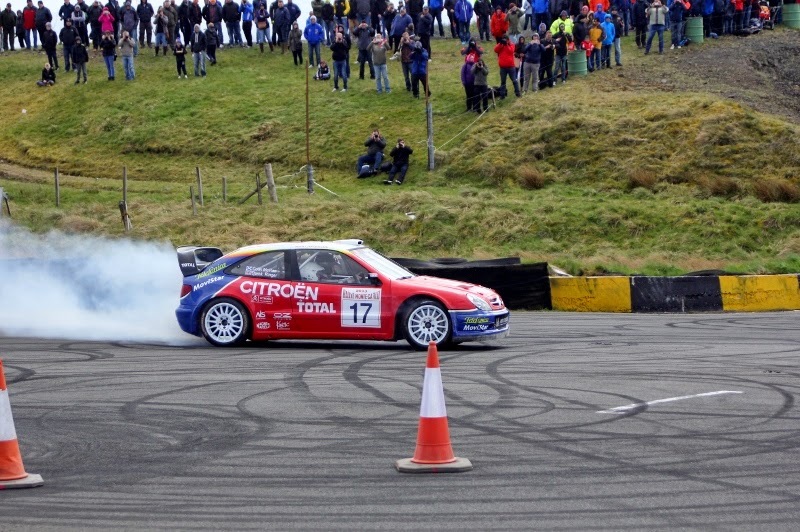 It may be cold at Knockhill but the sight of Meeke in the Xsara warmed the hearts. 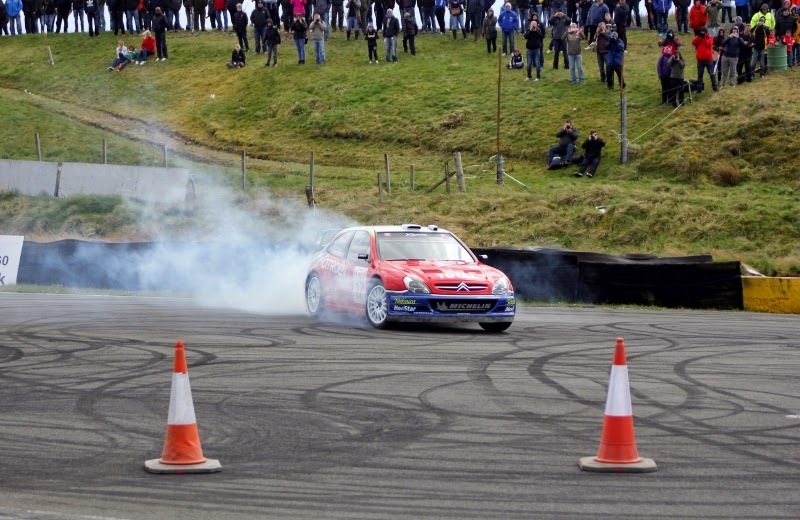 It turned out that the car wasn’t eligible to compete in the actual rally event (it’s a 2003 world car remember) so Kris was given the job of wakey-wakey fast opening car, but ssssh, don’t tell the authorities, he was doing do’nuts for the fans. But if any official does raise the question, then it was only because the tyres were cold and he spun. As for the smoke coming off the ‘cold’ tyres. Surely not, that was just a bit of oil in the exhaust. 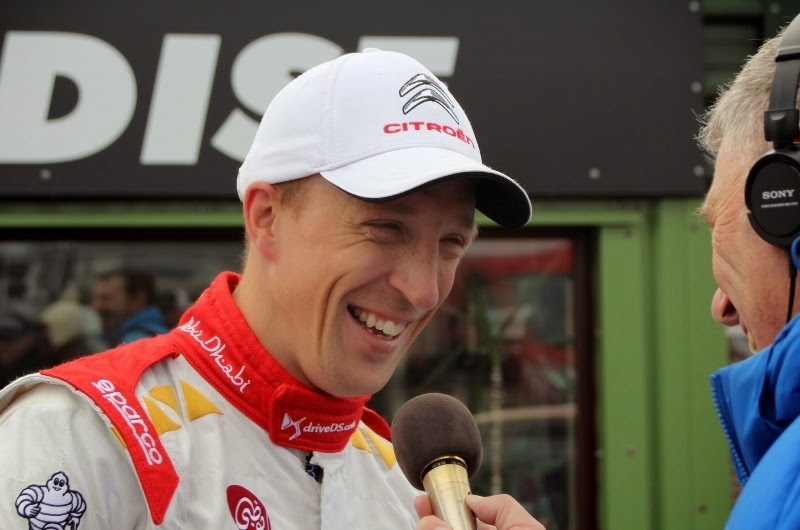 A stickler for the rules is Mr Meeke.